Affordable Cleaning Services professional cleaners guarantee a high level of domestic cleaning services, no matter what you require: weekly service, twice-a-month service, or just an one-time service. Our domestic cleaning services offer you an affordable service suited to your individual requirements. We are very flexible and open to your special requests on cleaning services. 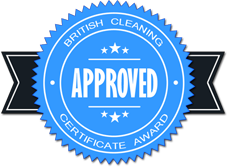 Even if you want an one off deep clean please don’t hesitate to contact us, because we offer you a variety of options. A complete service includes everything in the home from top to bottom. This includes dusting, cob webs, light fittings, curtain rails, insides of windows, wiping down paintwork, doors, skirting boards, radiators, full tile cleans, limescale treatment, kitchen cupboards and cleaning under furniture, upholstery cleaning, carpet cleaning, and so on. Spring is considered the perfect time for renewal, even if we talk about cleaning services. Every house needs a general cleaning to freshen it up, at least once a year. We offer you a spring cleaning service that matches your requirements exactly and the solutions we have are customized to fit your needs. All you have to do is determine the length of the cleaning service, and provide us your requirements on the cleaning services desired. Do you want to host a party and you don’t have time to clean your home? Don’t worry, because Affordable Cleaning Services can do this for you. We provide a regular cleaning service along with other extra services depending on client requirements. If you and your family and friends have been celebrating on different occasions, there is no need to stress about the clean up. Affordable Cleaning Services will remove all leftover food, bottles, will empty all the bins, and will wash all dirty dishes, plates and glasses. All the chaos in your home will be cleaned because we know how important is to have your home clean as quickly as possible. Our reliable and highly experienced cleaners will make your house look clean, sparkling and organized once again. When your tenancy is due to end, all you have to worry about is to leave the rental property in immaculate condition, in order to get back your deposit. Affordable Cleaning Services is offering you a professional end of tenancy cleaning service. Our reliable cleaners will make your home clean and ready to leave it for the next tenants. The experience in cleaning services we have makes us able to deliver high quality services and guarantee them. Our company provides a very efficient cleaning service and helps clients save time and manage the move. It is important to disinfect your house, to control the growth of microorganisms that can cause disease. Disinfection is a good practice for your home, and we offer you this service at the same price with the cleaning service you choose: one off cleaning, spring cleaning, before and after party cleaning or end of tenancy. You have to ask for this service every time you consider that is important to have it in your home.